I have another before and after photo to share. The left side is September 18th, 2010 and the right side is April 30th, 2011. The old me couldn't run the entire 5k. 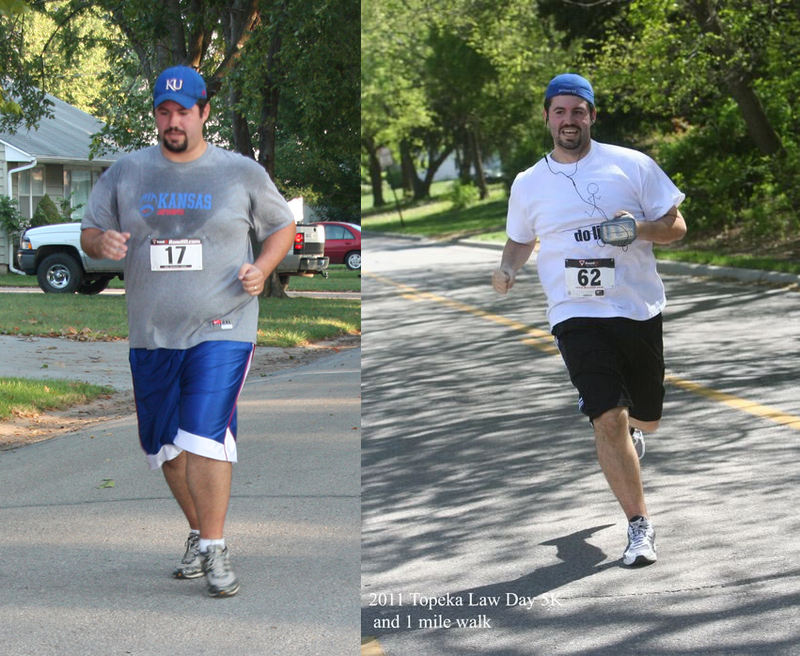 The new me has run two 5k races in 2 weeks. The old me was testing the limits of XXL shirts. The new me is swimming in them now. The old me had a goatee to "hide" my fat face. The new me has one because it looks good (I'm told). The old me had a lot to be happy about. The new me couldn't be happier. You're looking much happier too! Congrats Laner.